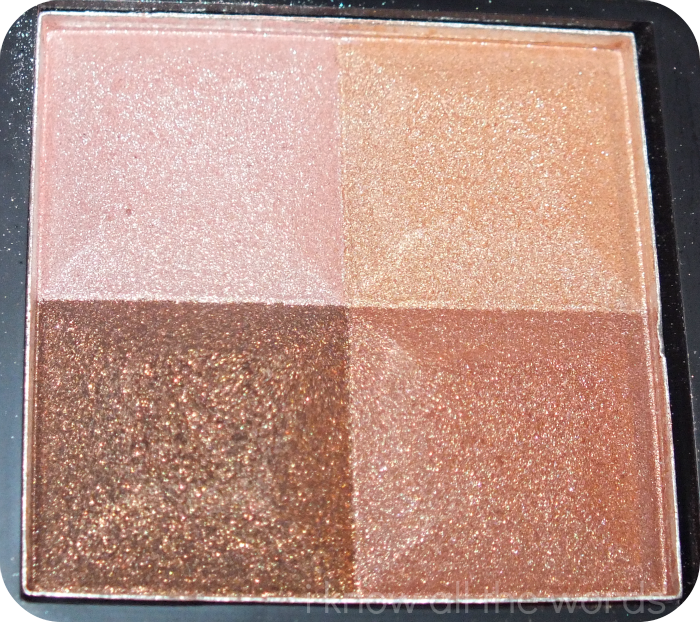 Anyhow, before I got knee deep in itunes, I took a moment to swatch Marcelle's Sundance eyeshadow quad. I've been using it for a while and thought I should share before it gets too grubby looking. 'Step out of the shadows! These attractive new eye shadows come in an embossed powder with four shades in one single pan, formulated in an ultra silky texture that glides effortlessly and provides long lasting colour. Offered in quads of 4 vibrant shades and in an innovative monochromatic palette, the versatile shades let you create infinite and sophisticated make-up looks from subtle to dramatic. When I first saw these, I immediately thought of Bobbi Brown. Anyone else see it? The simple, square, black packaging is quite sleek looking. 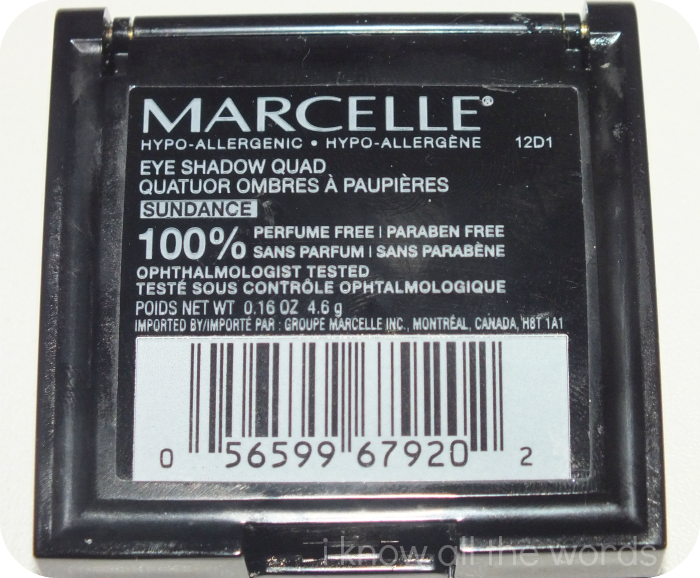 The Marcelle quads, have a little bottom portion you access by lifting the pan, to house the sponge applicators. I usually toss them, as I prefer brushes, but the applicators are handy to have on hand for any streaky nail polishes (see the tip here.) 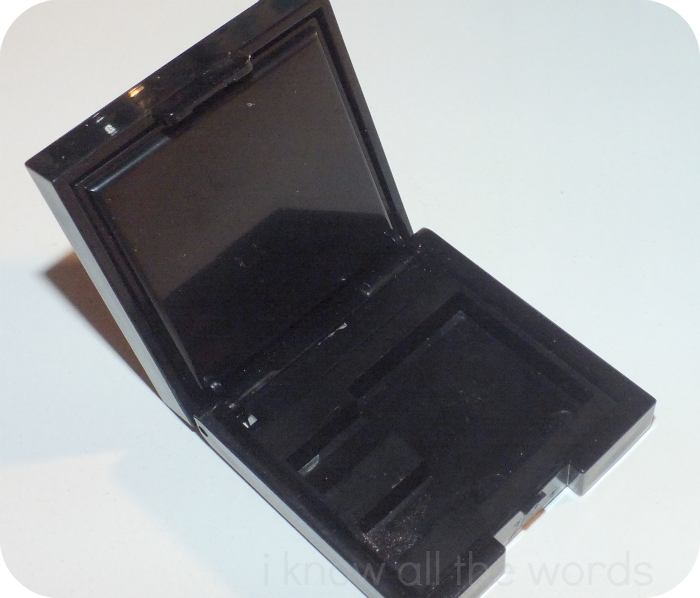 Even with the added compartment, the packaging isn't bulky. It's magic! 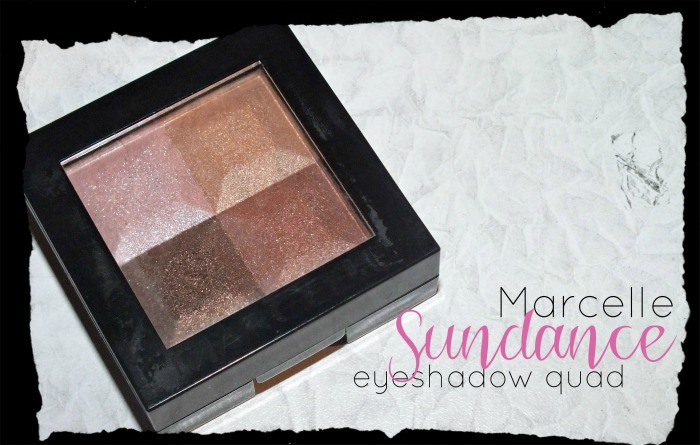 The Sundance quad features four sunset-like shades, all being a satin formula. It would have been nice if one matte had been thrown in, but what can you do? The first shade is a pale, muted pink. It's the lone cool toned shade in this quad. The second shade is a light peachy gold. The third shade is a copper tinged chocolate brown. 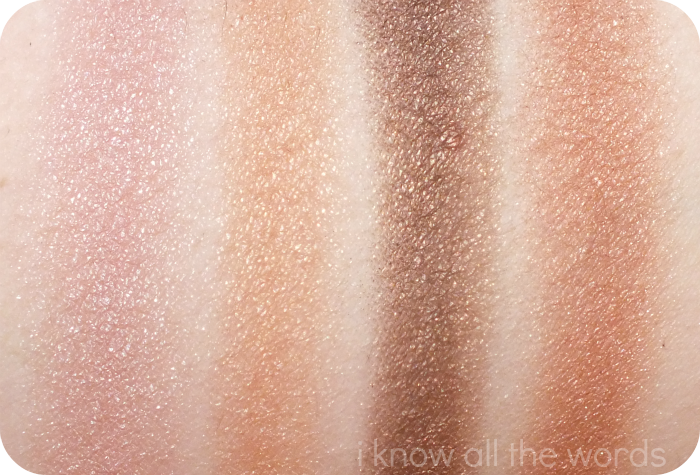 The fourth shade is a light bronze. 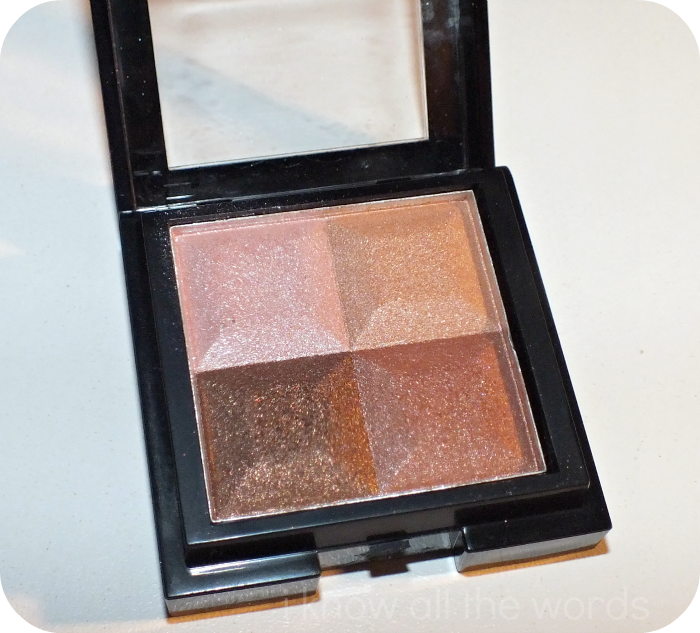 All of these shadows are nicely pigmented, with a smooth formula that wears and blends beautifully. As I mentioned above, a matte shade would have been nice, but these do wear well together as is. I've worn these shadows with and without primer, and although, I always suggest primer, I had only minimal creasing after a full day of wear. Overall, this is a great little quad. I love that it's grab and go, all the shades work well together to create a variety of looks. You can go soft and neutral, or you can go a bit smokier by using more or less of the deepest shade. With 18 different quads to choose from there is defiantly something for everyone. Have you tried these? Do you have a go-to quad you love? Do share!